Many online merchants who use live chat on their stores have seen significant increases in sales. Live chat boosted Bloom Nation’s sales. There are a number of reasons behind these conversion increases. For one, live chat facilitates instant answers to shoppers, who frequently leave a store without buying anything because they are either unsure about a purchase or have unanswered questions. Live chat can therefore be an effective tool in lowering your site’s bounce rate and shopping cart abandonments. You can use it to convince undecided consumers who have questions but don’t want to call on the telephone. Additionally, live chat can be used for upselling or cross selling. If you find out why the shopper is purchasing a particular product, you can then use the live chat to quickly recommend similar or complementary items. 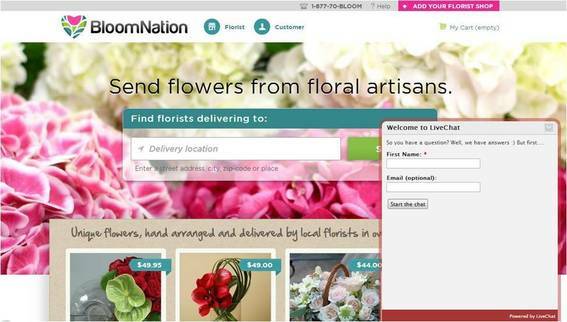 “Live chat is instrumental in cross selling other services to our merchants,” said Bloom Nation’s Weisstein. Live chat gives you the ability to personalize the shopping experience to each visitor by providing tailored answers and recommendations. 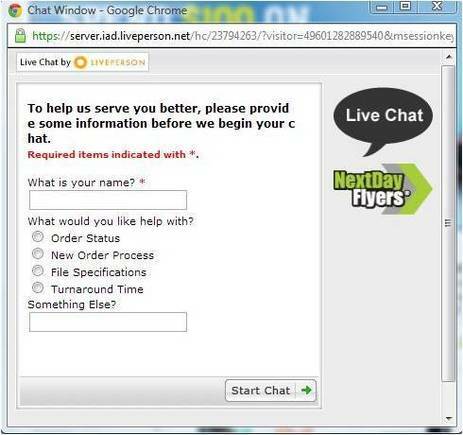 Moreover, live chat can help you understand visitors’ intentions as they’re browsing your site. What’s the purpose of their visit? What are they looking for? Are they finding everything? These insights can help suggest the most relevant products and otherwise help shoppers make more informed decisions. Live chat can give you insight into what your customers are thinking. Live chat also saves time. It eliminates extended email conversations and provides quick answers to questions and follow-ups. It also makes your team more efficient. Instead of taking just one phone call at a time, live chat reps can respond to two or three shoppers at once. Moreover, you can use your live chat logs to train your representatives for better service. Reading through past conversations is much easier than listening or transcribing phone call recordings. Below are a few dos and don’ts before implementing live chat with your shoppers. Do indicate the times when you are available. Are your live chat reps only available during regular business hours? Be sure state that on the chat box. You don’t want your shoppers to send live chat messages if there isn’t anyone on the other end to respond. Do personalize your encounters. Having a live chat application on your site helps with personalization. Consider personalizing even more by sending chat messages based on shoppers’ behavior on your site. For instance, if you see that a shopper is spending time in the men’s shoes section, send a chat message offering help with finding the right pair of shoes. Don’t creep out your customers. You’ll be able to see a lot of information about your site visitors — such as where they’re located. However, you should not use all the information when chatting with visitors because it might cause them to feel uncomfortable. Do run some tests. As effective as live chat may be, don’t implement it without testing. Before entering a long-term agreement with a chat provider, test a live chat app for a couple of months and observe its effect on your conversion rate. If you decide to keep it on your site, then you may also want to test the details associated with it, such as your welcome messages, the amount of time before the chat box appears, or the appearance and behavior of the chat window. This helps you optimize your live chat application for maximum conversions, engagement, and personalization.